Sophisticated investment and financial strategies for clients like you. Located on Boston’s South Shore, The Hussey Dewey Group at Morgan Stanley works with individuals, families, and business owners across the United States and globally. Our approach to wealth management begins with listening. After we’ve had the opportunity to learn about your unique financial goals, we will formulate a cohesive plan for the future. By tailoring our services and strategies to your personal needs, we help to simplify your financial life. 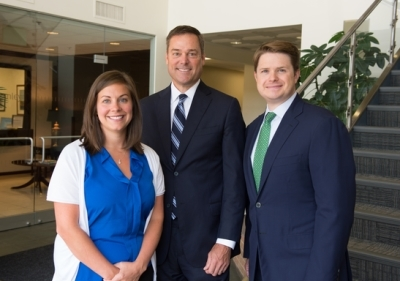 Since 2000, Fred and Chris have managed clients by providing them with tailored financial strategies. Fred began his career in the financial services industry in 1986 with UBS (formerly PaineWebber) after earning his Bachelor of Science degree in Finance and Communications from Babson College. Committed to furthering his education, Fred obtained his CERTIFIED FINANCIAL PLANNER™ certification in 1999. Chris joined Fred in 2000 as a recent graduate from Boston University's School of Management, and a former intern. Chris does an excellent job of managing clients and offering a boutique experience while utilizing every capability and resource of the firm. In 2017, Chris was named to "Forbes Magazine's List of America's Top Next Generation Wealth Advisors". Liz, a graduate of Saint Anselm College, started working with Fred and Chris in 2008. She transitioned her experience in operations at State Street Bank to focus more on personalized client experience. James started as an intern in 2016 and has since joined the team after earning his Bachelor of Science degree in Finance from Stonehill College. Fred recently became President of the Hingham Sports Partnership, which is increasingly growing to become one of the largest fund-raising organizations on the South Shore. Since Fred has taken a board member position, the complete Hingham High School sports complex overhaul was done of the tennis courts, track, fields, concession building, stands, lights, and turf field which all started by a lead donation from HSP of $250,000 and support of raising $1,000,000 in total. As President, Fred leads a group of 25 board members to organize three major annual fundraising events brining the community together. Additionally, Fred organizes the HSP scholarships every year which are given to graduating seniors at Hingham High School who demonstrate the qualities of sportsmanship and leadership. Fred is a longstanding board member of Hingham's Special Needs Athletic Partnership, or "SNAP" program. South Shore SNAP was created in 2014 when Hingham Sports Partnership and the Hingham Special Education Parent Advisory Council joined together to offer athletic and recreational activities for special needs kids in Hingham. Fred also coaches a youth soccer team within the program. Fred has been a board member of the American Cancer Society's New England Division since January of 2010. He began his involvement with "ACS" in 1997 participating in the Making Strides Against Cancer walk in Boston. In 2008 Fred was recognized for his continued involvement when he was honored with the American Cancer Society's Sandra C. Labaree Award. Since then, Fred was a founding leader in the Real Men Wear Pink campaign which is a fundraising initiative to raise awareness that no one should face breast cancer alone. Fred has focused his talents on serving the investment needs of high-net worth clients, as well as corporations and non-profits. He is responsible for designing and implementing customized strategies to help our clients achieve their financial goals. Fred’s focus on financial planning coupled with his professional experience in capital markets— fixed income and equities— enables him to advise clients with a distinct perspective in wealth management. Fred began his career in the financial services industry in 1986 with UBS (formerly PaineWebber). After an extensive due diligence process, Fred’s goal of finding a firm with a shared vision led him and the team to Morgan Stanley in 2009. Fred is a graduate of Babson College, having earned a Bachelor of Science degree in Finance and Communications. Fred obtained his CERTIFIED FINANCIAL PLANNER certification in 1999. Not only is Fred committed to his business, but also to giving back to the community. He sits on the boards of the Hingham Sports Partnership and the South Shore Special Needs Athletic Partnership. He is a member of the Resurrection’s Parish Council in Hingham and coaches Hingham Youth Soccer. After losing his mom to breast cancer in 1984, Fred became closely involved with the American Cancer Society. 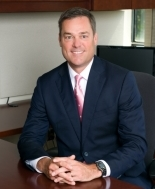 He is a board member of the American Cancer Society’s New England Division. He has been a participant in the Making Strides Against Breast Cancer Walk in Boston since 1997, and in 2008, he was honored with the American Cancer Society’s Sandra C. Labaree Award for his continued involvement. Additionally, Fred was a 2013 Nominee for the Expect Miracles Awards and a 2014 recipient of the Morgan Stanley Community Leadership Award. Most recently he has been a leader in the Real Men Wear Pink campaign, a fundraising initiative to spread the American Cancer Society’s vision that no one should face breast cancer alone. Fred lives in Hingham, MA with his wife, Tracy, and three children, Carly (Providence College), Heather (Miami of Ohio), and Will (Hingham High School). 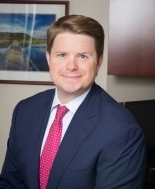 With over 15 years of experience in the financial services industry, Chris delivers comprehensive wealth management services to successful individuals, families, and business owners. Chris developed a passion for the financial markets at an early age. His career in finance began at Merrill Lynch in 1999. Since joining UBS (formerly PaineWebber) in 2000, he has worked closely with Fred in managing client relationships and is dedicated to delivering exceptional client service. 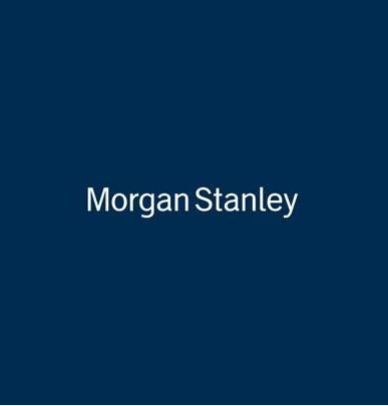 Chris and the team provide a customized boutique experience emblematic of an independent firm while leveraging the broad array of financial resources at Morgan Stanley. His practice is focused on risk management, unbiased macroeconomic research, attention to behavioral finance principles, and a personal and professional philosophy that is grounded in communication, ethics, trust, and collaboration. Chris strives to be the trusted advisor to his clients by implementing personalized solutions with respect to asset allocation, manager selection, retirement income planning, trust and estate planning, and liability management. Chris attended the School of Management at Boston University and graduated with a Bachelor of Science in Business Administration with a concentration in Finance. He joined Morgan Stanley in 2009 with Fred and Liz. Chris lives in Charlestown, MA with his wife, Kathryn, and their daughters, Emma and Claire. He is an avid Red Sox fan and a keen supporter of several non-profits in the local Boston area. When he isn’t in the office, Chris enjoys skiing in the winter and fishing in the summer. Liz brings ten years of experience in the financial industry. 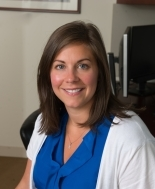 A graduate of Saint Anselm College, she developed an extensive operations background at State Street Bank in the trade processing and FX departments. Liz was drawn to Private Wealth Management where she could focus on the client experience. She joined Fred and Chris at UBS in 2008. Liz oversees the groups administrative and operational activities, addressing all client needs with personal attention. Liz currently holds her Series 7 and 66. Liz resides in Bridgewater with her husband, Todd, their son, Leo, and daughter, Rowan. In her free time, she enjoys reading, baking, and visiting the beach. James began his career in the financial services industry as an intern with The Hussey Dewey Group in 2016. After earning his Bachelor of Science in Business Administration degree majoring in Finance from Stonehill College in May 2017 he joined the group full time as the team's Financial Advisor Associate. He works with Fred, Chris, and Liz to provide strategic financial solutions.